Utah Employment Law | Labor Law Attorneys Serving Clients in Provo & Orem | Jeffs & Jeffs, P.C. Employment law disputes can seemingly arise out of nowhere. When they do, as an employer, you may be unaware of the laws and regulations regarding employee rights. Any time you face an employment issue, you should consult with a skilled attorney. 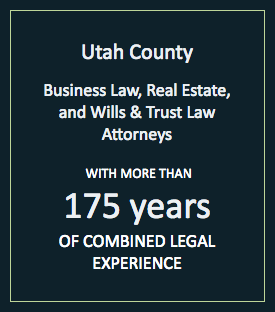 At Jeffs & Jeffs, P.C., we have been practicing employment law in Utah since 1957. We are aware and up to date with the current rules and regulations that govern the employer/employee relationship and can offer you trustworthy counsel. Noncompete agreements: During the hiring process, you may wish to have a potential candidate sign a non-compete agreement. This prevents the employee from engaging in a competitive business and/or soliciting your customers if he or she leaves or is terminated. In addition to helping you draft an enforceable non-compete agreement, we can offer you assistance if an employee violates the contract. Employee contracts: A Provo lawyer at our firm can review employee contracts, severance agreements and releases to ensure that they are thorough and do not contain any language that might be misinterpreted. Lawsuits: If an employee files a lawsuit because of discrimination or sexual harassment, you should take defensive legal action immediately. Our attorneys can rush to your aid and help you contest any unwarranted or spurious claims made against your company. Whistleblower actions: Receiving notice of a whistleblower claim of criminal activity can severely disrupt the day-to-day operations of your business. Our skilled lawyers can passionately defend your business against such claims. Running a business is not an easy task. Business can be even more difficult when contract disputes arise or when you face employee retaliation. 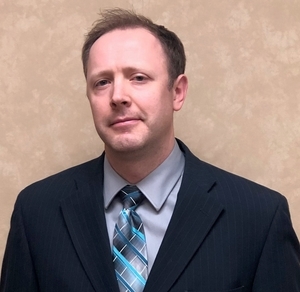 At Jeffs & Jeffs, P.C., our highly qualified legal team stands by your side and provides you with reliable guidance for whatever employment issue threatens to interfere with your business. Jeffs & Jeffs, P.C. is a full-service law firm dedicated to protecting your best interests. To speak to one of our highly qualified attorneys, please contact us today by phone at 801-373-8848 or via our online form. We have flexible hours, free parking and are located two blocks from the Provo courthouse and one block from the new Latter-Day Saints Historic Provo Temple.